You might remember from my Holiday Deer post that I mentioned my inspiration for my little deer had come from the characters from the classic claymation movie Rudolph the Red-Nosed Reindeer. Well, my inspiration didn’t stop there! Two of my absolute favourite characters from the movie are Yukon Cornelius and his new-found friend, Bumble! I knew that with a few adaptions to the Holiday Deer pattern, I could easily make a Bumble to keep my Holiday Deer company (and to help with putting that star on top of the tree!). I don’t know if I will have a chance to design Yukon Cornelius before the holidays get here but he’s definitely on my list as well! Bumble is so big and fuzzy. I used Bernat Pipsqueak yarn to achieve his fuzziness and I absolutely love how he turned out. I think he’ll make the perfect cuddle buddy while watching Christmas classics and sipping hot cocoa this holiday season! I don’t want to get too ahead of myself here, but the Pipsqueak yarn also comes in Blue and Red ….so if you happen to know some Sesame Street fans (and really, who isn’t a Sesame Street fan?! ), then Bumble’s pattern could very, very easily be adapted to become Cookie Monster or Elmo. Let’s get started (or Pin it for later here)! As usual, this pattern is made in the same style as my Ragdoll patterns; separate pieces worked in flat rows and then joined together to give them that unique 2-D look. Bumble has just 6 separate pieces but keep in mind that there is some colour-work involved as well. Bumble is quite large! Just like the real deal. His finished measurement is approximately 38cm/15″ from top to bottom. I encourage you to read everything thoroughly before beginning, particularly if you don’t have a lot of experience with tapestry crochet or my previous patterns. Everything is worked in single crochet stitches, except for rows 57 and 62 of the front panel, and row 59 of the back panel. In those rows, the stitches will be specified. So, in order to indicate the colour-changes, I have omitted the usual “sc” in front of the stitch counts in any lines with colour-changes and I’ve used the associated colour letter instead. For example, “Wdec” means to work a sc decrease in White yarn. “W2, B24” means to work the next 2 sc in White and the next 24 sc in Blue, and so on. Due to the colour-changes, you will have at least two skeins or balls of yarn attached to your project at once. For example, I opted to use two balls of white, one for each side of the head. I did this by taking one skein of yarn and separating it into two smaller balls. This cuts down significantly on having to carry your yarn. The bonus part of the colour-changes in an amigurumi is that you don’t have to worry about what the back of your panels look like! This is why I carry my yarn on the back instead of carrying it inside the stitch as you go. It prevents any colours from bleeding through where they shouldn’t. As long as you always carry your yarn on the back of your panel, you won’t have to weave in any ends and you’ll have a beautiful smooth front with clear lines and colours. When changing colours, you will insert your hook into the stitch for the last stitch of Colour A and pull up a loop. Then, with Colour B, yarn over and complete the stitch by pulling through both loops with Colour B. Drop your working yarn in Colour A and continue with Colour B. You will pick your Colour A working yarn back up again on the way back in the next row when you need it. *Make sure to always drop your yarn on the WRONG side of your panel! * So, for example, when you are working on a row where the wrong side of the panel is facing you, you will have to make a conscious effort to pull your yarn toward you to the wrong side of the panel when dropping your yarn during a colour-change. This is because it will naturally drop to the side furthest away from you if you don’t. It doesn’t matter which side you choose as your “right” or “wrong” side, since the stitches look the same (unlike when working in the round), just as long as you’re consistent in carrying your yarn! Before we get started, we need to talk yarn, folks. I’ll be real with you; crocheting with Pipsqueak yarn is not for the faint of heart. Anyone who has used fuzzy yarn like this before knows what I’m talking about. This is especially true for amigurumi, where precise stitch counts are very important. The stitches are hard to see, and when you lose count of stitches (and you WILL lose count at some point…ask me how I know) you’re probably going to have to frog the row because it’s really hard to count the stitches accurately. It is vital that you use stitch markers at the end and beginning of each row. Trust me on this. Basically, if you decide to make this pattern, you will likely feel frustrated at some point. Don’t worry. Take a breather. Remind yourself that you really do love crocheting. Come back to it in a little while. And guess what? Even if you do make a mistake (or twenty) the fuzzy yarn will help camouflage it! Now, before I leave you too disheartened, here’s my tip for crocheting with this yarn. When I crochet, I’m usually looking at my work from the side, like the first photo below. Ordinarily, you can see exactly where you need to insert your hook from the side. Not so with this yarn. However, if you look directly down at the row from the top, you can more easily see the “V”s of each stitch, like in the second photo below. Not a stitch in sight. The panels are worked from the bottom up, starting with the legs. The first three rows are completed in Blue. Switch to White. Rows 4 to 37 are worked entirely in White. Now we will join both leg pieces together by crocheting across both pieces in row 11, as shown in the second photo above. Now we will start the head. In row 57, ‘Bhdc10’ means to work 10 half-double crochets in blue. Everything else is worked in sc. Rows 58 to 62 are worked entirely in White. Tie off. Put aside for assembly later. Back Body (make 1 panel). Rows 1-37 are worked exactly the same as the Front Panel above. The remaining rows are all worked in White. Also, the back panel has fewer rows than the front panel. Since the front panel uses worsted weight yarn for the mouth and face, those rows are smaller than the bulky Pipsqueak rows, so we need fewer rows on the back panel to get the same size panel. Repeat rows 1-13 for second panel. Do not tie off second panel. Put both panels together, matching up all sides and colours. Chain 1 and sc around the entire piece. (Sc, ch, Sc) into the corners of row 1. You will need to switch from Blue to White and back to Blue again as you crochet around. See the instructions above in the section “Reading this Pattern and Colour Changes” if you’re unsure how. Stuff when you’ve crocheted about two-thirds of the way around. Slst to beginning st to close. Tie off. Repeat for second arm. Set these aside for assembly later. First we need to attach all of our facial features to the front panel. I decided to use white felt for the eyes and teeth, which was purely a result of laziness efficiency on my part…crocheting teeth basically sounds like my worst nightmare (the yarn tails, gah!). So stitching down felt seemed like the lesser of two evils in this case. However, if you are feeling ambitious, feel free to crochet yours! I picked up one of those rectangular sheets of felt from Michaels; the ones that are like, $0.40 or something, and I’m very happy with the results. You could also try gluing the felt down with fabric glue if the thought of using a sewing needle and thread is your worst nightmare. I haven’t tried it myself so I don’t know how well this option will work, but it is an option! Then, position the eyes on the face and insert the safety eye into the front panel of your Bumble and attach the fastener on the back. Now your eyes are secure and you can stitch around the outside of the felt pieces with a sewing needle and white thread without having to worry about them moving around. For the mouth, I simply cut a long strip from the bottom of the sheet of felt, and cut notches from one side of the piece all the way across. Luckily, I don’t think Abominable Snowmonsters have particularly perfect teeth, so don’t worry too much about how even they are. Then, you will line the teeth up with the top of the mouth and stitch them down by stitching straight across the top. The fuzzy yarn above the mouth will hide the stitching! I felt this was secure enough for me, but if you’d like them to be more secure, you can stitch around each tooth as well. Okay, here are all the pieces you should now have at this step. Cut off two lengths of White yarn about 30cm/12″ long each and set them aside for later. Place the two body panels together, matching up all sides and colours. Starting on the left side of the head, begin attaching the panels together by chaining one and single crocheting around the outside of the panels starting in White. Stop when you get to the neck and pull up a long loop. With your tapestry needle and a length of White yarn that you set aside earlier, place the first arm between the panels and attach it by sewing through all three pieces; the top panel, the arm, and the bottom panel. When finished, tie a knot to secure and hide the yarn tails between the panels of the body. Continue crocheting down the body. When you get to the arm, simply crochet in the stitches of the front panel only, since this portion is already sewn shut. Switch colours to Blue where appropriate when you get to the foot, then back to White for the leg, and so on for the next leg. Stop when you get half way up the body on the other side. Pull up a long loop. Stuff the legs and body. Place the second arm and attach it the same way you did for the first. Continue crocheting up the body. Stop near the top of the head. Stuff the body and head. Make sure you stuff the neck firmly so it’s not floppy. Picking up where you left off, continue crocheting around the head. Top up stuffing as you go. Close with a slst to first st. Tie off. With your tapestry needle, poke the yarn tail back inside the piece. 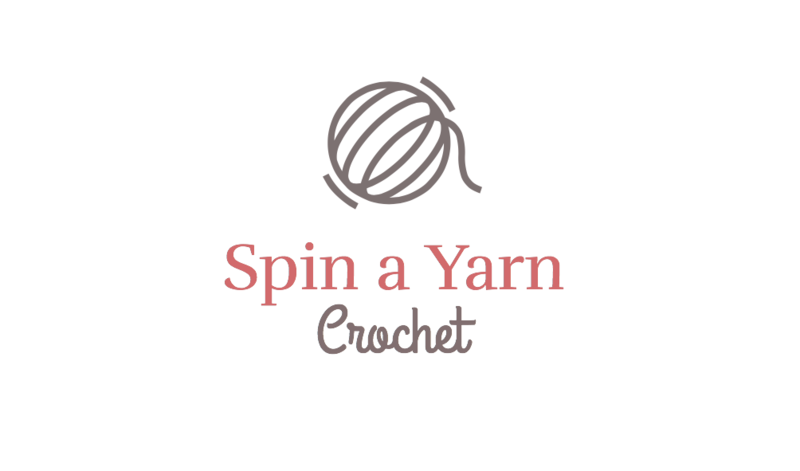 Keep in touch on the Spin a Yarn Crochet Facebook Page and feel free to post and share pictures of your finished items and/or links to your shops! Be sure to also follow us on Instagram and hashtag your creations using #spinayarncrochet! The information and photos in this post are the sole copyrighted property of Spin a Yarn Crochet. You may not copy and paste or reproduce any part of the information contained herein electronically, verbally, written or otherwise, including translations. You may make and sell products from our patterns but we ask that you please link back to this post. This post may contain affiliate links, which means Spin a Yarn Crochet may receive some compensation if you click a link and purchase something that we have recommended. Clicking these links won’t cost you any extra money, but it will help us keep this site up and running and keep the free content coming! Thank you for your support! I love how fluffy he is, Jillian! 🙂 Just adorable! I love this but, at my age, I doubt if I could get it done by Christmas. I have a one-year-old great-grandson who would love this. Do you have a website or page where I could purchase only already made? Unfortunately, I don’t sell finished items! But feel free to post on our Facebook page to see if anyone in the group is selling finished items! such great work you do and to offer it for free to us all. Thank you . Love your designs. So cute!! And perfect timing–I have been looking for a pattern like this. Amazing! This is so cute I can’t wait to make him. My friend’s 2 little kids have been the thrilled recipients of many of your ragdoll toys now, and I believe this one will top them all right now at Christmas time. Thank you for another adorable pattern! Oh my goodness – he is so adorable!! What an awesome pattern! I just finished making this tonight. Wish I could attach a picture. I just love him. Thanks so much for the pattern. FYI, I bought your pattern on Etsy and part of the directions are missing. It seems that every other row, starting with row 37 and ending with 51 is missing. Glad you had it posted on your website, too! I was able to fill in the missing parts! Can’t wait to make this for the granddaughter of a friend of mine! Hrm, that’s very odd. As soon as I saw your comment, I panicked (ha!) and immediately downloaded the PDF listing for this pattern to fix it, but everything looks okay from my end. All the rows are there. Perhaps it some sort of glitch in your PDF reader? In any event, I hope your friend’s granddaughter loves it! Will we see Yukon Cornelius this year? My grandson is so excited to see which character I make each year. I am so glad you shared your pattern. I’m not as brave so I just used regular yarn. Added alittle hair on top. Still have to do the teeth but came out pretty cute. Thank you!! Hi! Thanks for stopping by! 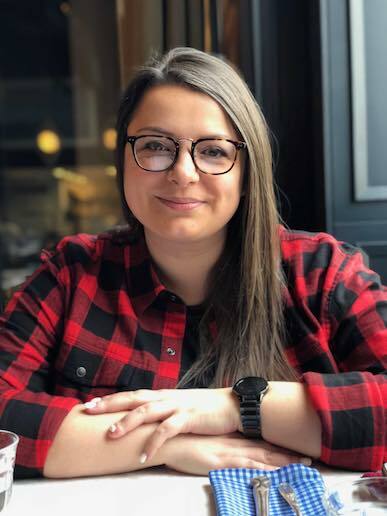 I'm Jillian Hewitt, the creator of Spin a Yarn Crochet. Want to make cute things together?